The latest issue of the Graduate Journal of Social Sciences (GJSS) has a strong focus on Science and Technology Studies (STS) topics. 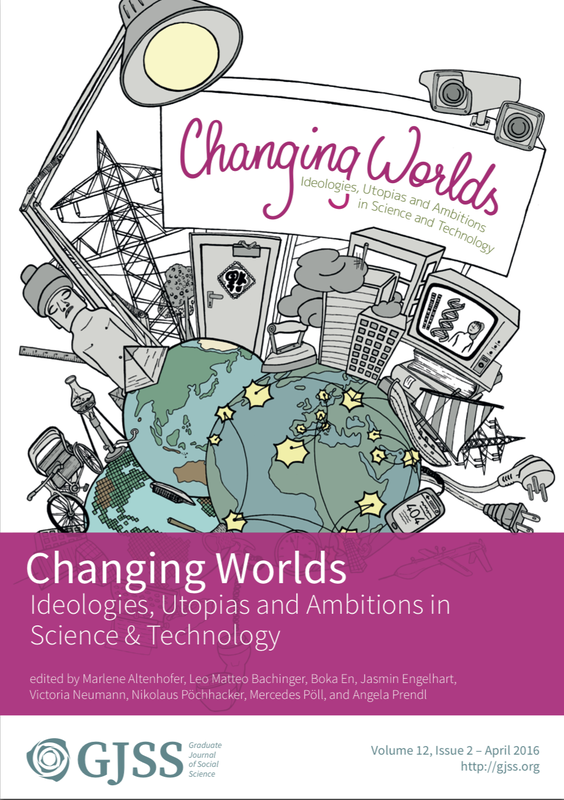 Its title “Changing Worlds” alludes to multiple meanings as not only are we changing the world – or worlds –, but they are simultaneously changing us, and are never stagnant in the first place. This issue (Volume 12, Issue 2 – April 2016) has been edited by a promising group of international STS scholars: Marlene Altenhofer (Institute for Advanced Studies, Austria), Leo Matteo Bachinger (Rensselaer Polytechnic Institute, US), Mercedes Pöll (University of Leeds, UK) and Boka En, Jasmin Engelhart, Victoria Neumann, Nikolaus Pöchhacker and Angela Prendl (all from University of Vienna), who managed to assemble an exciting and interdisciplinary range of papers. feminist epistemologies and Participatory Design. The whole Journal issue can be downloaded here. The article mentioned above, can be downloaded here. This entry was posted in accessible, activism, alternative communication, augmentative communication, deaf-blind, design project, design research, design study, disability studies, Diversity, Enhancement, Literature, STS and tagged Berlin, deaf-blind, deafblind, design research lab, gesche joost, lorm glove, Lorm Hand, lormhand, STS, taubblind, tiago martins, tom bieling, Udk, wearable. Bookmark the permalink.